More companies are trying to tap Facebook Inc.’s 750-million-plus user base to find new employees, threatening traditional job boards and competing with LinkedIn Corp., which has dominated the online professional networking arena. Companies are trying to tap Facebook’s 750-million-plus user base to find new employees, competing with LinkedIn, which has dominated the online professional networking arena. Joe Light has the story. 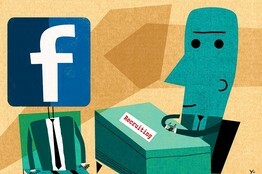 Facebook’s use as a job-recruitment tool remains small, but its appeal may be growing. Some recruiters say they have all but eliminated their spending on job boards, which can charge a few hundred dollars per job posting, depending on volume. Others note that while LinkedIn contains a more comprehensive résumé database, candidates tend to value referrals from their connections on Facebook more. The majority of social-media traffic to Waste Management Inc.’s careers website comes from Facebook, beating out LinkedIn, said Jenny DeVaughn, manager of social media and employment branding. The Houston-based environmental services company is currently trying to fill 1,500 positions—from software developers to garbage truck drivers. In addition to posting jobs and videos of current employees on its Facebook page, the company has recruiters and other employees find user groups and join discussions. When asked for comment, LinkedIn referred to its chief executive’s remarks from last week’s conference call to discuss earnings. During the call , CEO Jeff Weiner said users tell the company they want to keep their personal and professional networks separate. Indeed, Jeff Vijungco, vice president of world-wide talent acquisition for Adobe Systems Inc., said that in focus groups, prospective job candidates were sharply averse to being contacted through Facebook for jobs. “The antibodies kicked in pretty quickly. They thought it was very invasive,” he said. The company posts job openings on its Facebook page, but Mr. Vijungco said they have had more success finding employees through LinkedIn. Facebook hires account for less than 1% of the total hires companies are making, according to Jobs2Web, which helps companies track the sources of candidates and hires. But if current growth trends continue, Facebook could rival traditional job boards in 2012, said Jobs2Web analytics manager Phil Schrader. Matt Mund, Monster.com’s vice president of product management, acknowledged that Facebook as a recruiting platform is growing rapidly. The company, which hosts a job board and other recruiter services, launched its own Facebook app, dubbed BeKnown, in June, and the application now has nearly 800,000 monthly users, according to AppData.com, a market research group. Over the next couple of weeks, the company plans to launch a program where companies can offer employees cash rewards for making referrals through the app. “While I wish every company used Monster, social is a solution that many people are using,” he said. As the number of job postings overall has bounced back from the depths of the recession, Monster’s core job postings businesses have benefited. Revenue in the second quarter at Monster Worldwide Inc. rose 25% to $270 million from the prior year. LinkedIn’s revenue from company recruiters is also growing rapidly. In the second quarter, the company’s hiring solutions segment—which among other things helps recruiters search through their profile database for candidates—grew 170% to $58.6 million from the same quarter a year earlier. Still, Facebook is making a dent. VMware Inc., a Palo Alto, Calif., cloud-computing company, hired its first full-time recruiter dedicated to working on social networks in November and is building a team of recruiters who will focus on social platforms. The company, which is hiring for about 1,200 positions, has cut back on the number of jobs it posts to job boards, said Will Staney, talent acquisition Web strategy manager. While VMware still relies on LinkedIn to recruit higher-level executive talent, Mr. Staney said that Facebook users tend to spend more time on the service and are easier to reach than LinkedIn users. 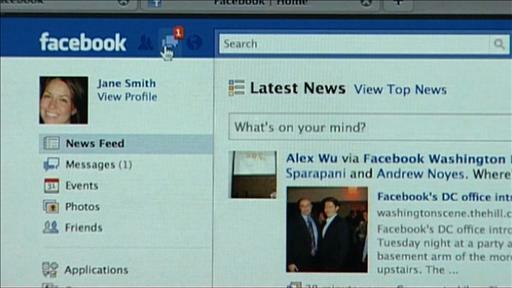 Since February, the number of monthly active users on its Facebook page more than tripled to 11,000, he said. Beginning next week, the company also plans to pilot a new Facebook application that will allow them to search for candidates on BranchOut Inc.’s Facebook app which, similar to BeKnown, builds a professional networking layer on top of Facebook and has more than 2.6 million monthly users, according to AppData.com. Candidates have been 50% more likely to apply to positions they found through Facebook than through other means, said Mr. Staney. “[Job boards] just blast it out. This is much more efficient and targeted,” he said.